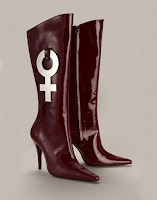 Channel the power of femininity in these statement boots. Add some serious girl power to your look with these killer heels from Agent Provocateur. 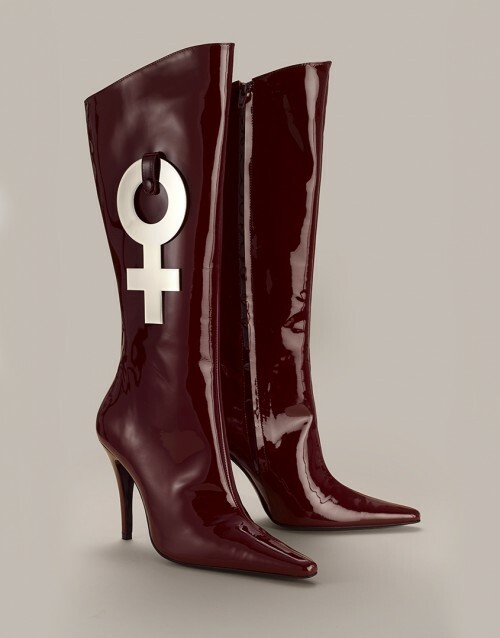 Patent leather knee high boots in a deep current hue with a leather inner and outer sole, accented with a silver detatchable Venus symbol for a commanding finish. Also available in black or white.